These stickers are for those who wish to purchase them separately. If you are purchasing a laptop, stickers will be included at no additional cost. You only need to order this product if you’re not ordering a laptop, or if you want more than 1 set of stickers. Free shipping on all stickers! Worldwide! If your shipping address differs from your billing address, then enter your shipping address in the “notes” textbox on the checkout page. 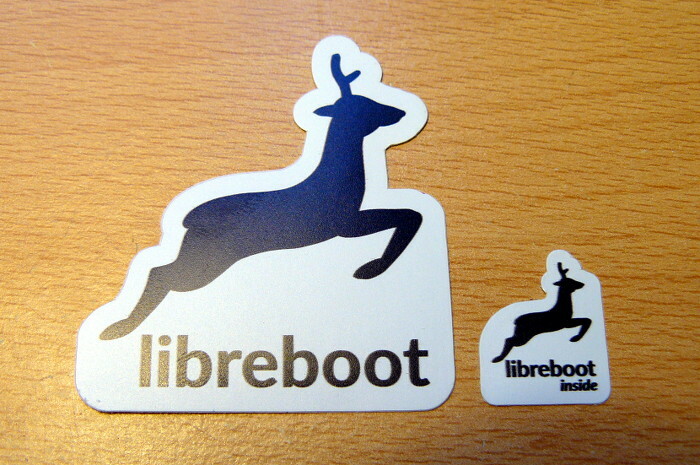 Minifree’s founder, Leah Rowe, is a libreboot developer (and founder of the libreboot project). Minifree sales directly fund the libreboot project. These are sold in order to raise funds for development in the libreboot project. email address, etc and info about what you want, and we will send an invoice with payment instructions in PDF format.